Are you ready to have lots of fun? 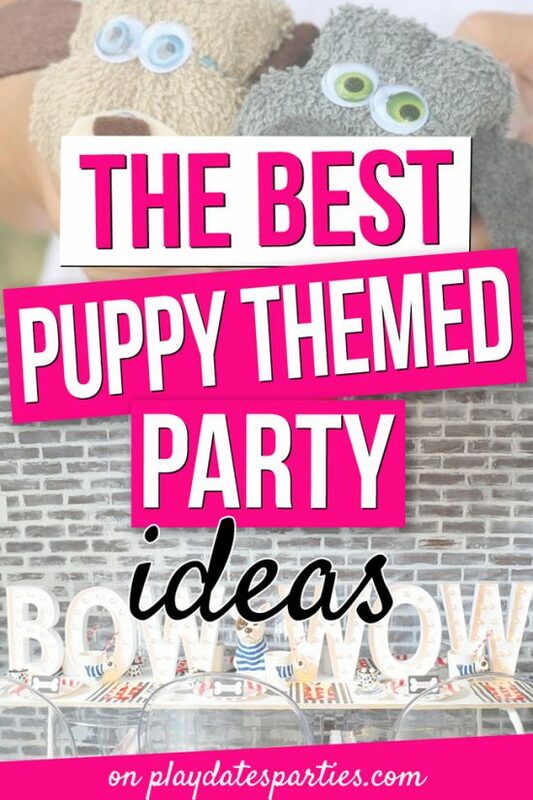 Here are 18 hilarious dog themed party games ideas that are fun for all kids, from toddlers to tweens. Every few years, the TV show of the moment changes. And right now, my 3-year-old is 100% on board with the current Paw Patrol trend. I can’t tell you how much he loves that show. From being Marshall for Halloween, to his Paw Patrol water bottle, I’d be shocked if he didn’t ask for a dog themed 4th birthday party. But what’s a party without games? 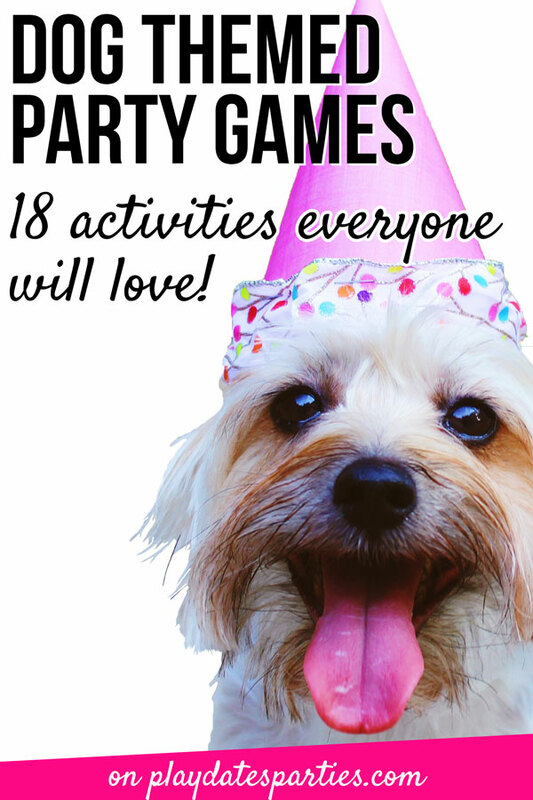 Since we have kids of all ages in our house, I’ve pulled together some fantastic dog themed party games for every age range. I’ve even separated games based on age to make it as easy as possible for you to plan age appropriate activities for your puppy themed party. 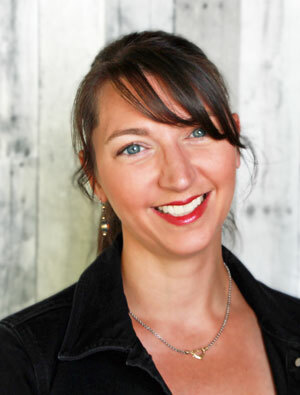 As long as you have a responsible person handy to take photos, photo booths are one of the easiest party activities to set up. Just put together a simple backdrop with a PVC pipe frame, add a cute backdrop and these adorable puppy photo props, and you’re good to go! I love activities that double as party favors, and having a Puppy Adoption Center fits this theme perfectly. All you need is a small plush puppy and adoption certificate for each child. I’ve made the second part super easy for you! 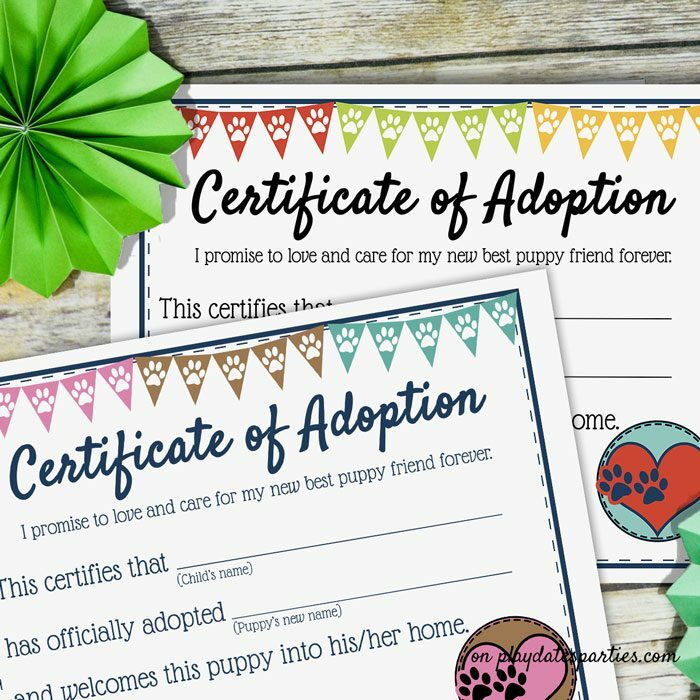 Just click here and you can grab your free printable puppy adoption certificate. We all like easy, right? To make it easy, grab a bunch of these puppy themed medals to give out as prizes. This is a great take on the classic freeze dance game, with a puppy dog twist!. 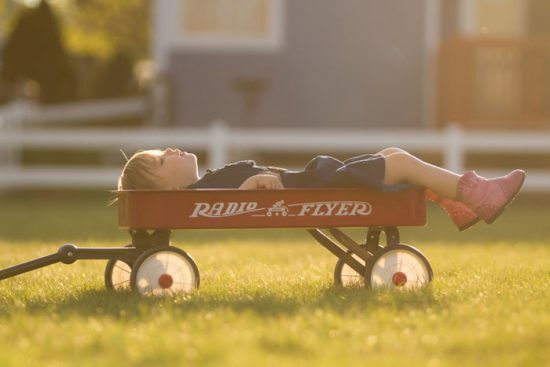 Choose some fun and energetic music, and gather the kids into a space with plenty of room to move around. Tell the kids “When the music starts, I want you to all pant like a puppy! When the music stops, freeze in your spot.” Start the music for a few seconds singing along “Pant, pant, pant like a puppy! Now….freeze!” Then tell the children to do something else that dogs do, like hop, chase their tales, pretend to drink from a bowl, shake their toy, etc and restart the music. Keep going until you’ve gone through your list. I never heard of the game Sleeping Lions until recently, but it’s a fun way to calm things down if kids start to get out of control. This time, instead of lions, they’re puppies or dogs. Have all the children lie down to pretend to be asleep. Then pick one child (usually the birthday boy or girl) to walk around the group trying to get the kids to move, or wake up, without touching them. The last one to still look like they’re asleep is the winner. Instead of a scavenger hunt, which is probably too complex for toddlers, try a simpler approach with a dog bone hunt. Purchase a bunch of dog bone treats, or print out several pictures of dog bones and then hide a them around the party area. Then, tell the kids to go find them before a timer is up. How much time you give, and if you choose to give a prize for the most bones found is up to you. 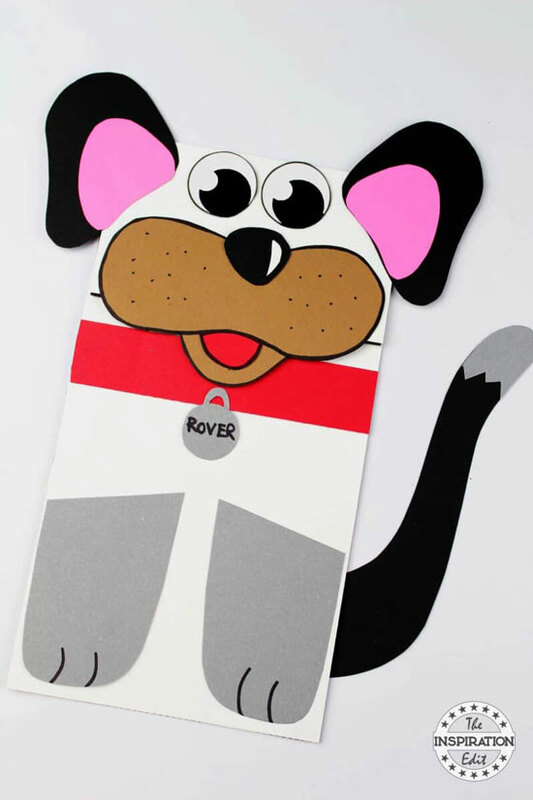 The Inspiration Edit has an adorable template and instructions for making a paper bag puppy puppet. You can either let the kids glue on the colored paper pieces, or print everything in black and white, and have it glued on to the bags in advance, turning it into a coloring activity. CUTE! Let the kids get creative making “leashes” or “collars” for themselves or for their dogs, if you include a puppy adoption center. You can get fancy and buy kits, or you can make a bunch of popsicle stick bracelets in advance and let the kids have fun decorating them with whatever you have that is age appropriate. 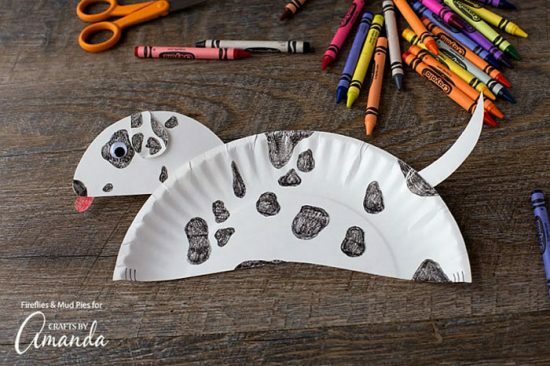 This paper plate puppy craft from Crafts by Amanda is super cute. And if parents are going to be around to help their kids, you might be able to get away with having the kids cut everything out. Generally speaking, though, I find that parties with little kids have too much mayhem for that. Don’t be afraid to have all the pieces ready in advance, though, and let the kids decorate their own paper plate puppy! No surprises here…just a fun dog themed take on the classic game Pin the Tail on the Donkey. You can even get pre-made game boards and pieces. Easy peasy! Kids love slime and they love gross-out ideas, so combining the two to make puppy drool slime is a no-brainer! I’ve got a great clear slime recipe, that you could keep clear, or you could let the kids add bits of dog-themed confetti to make it fun, too. I know my older two girls would adore this activity! Put a paintbrush in their hands and they’re happy for a good while. 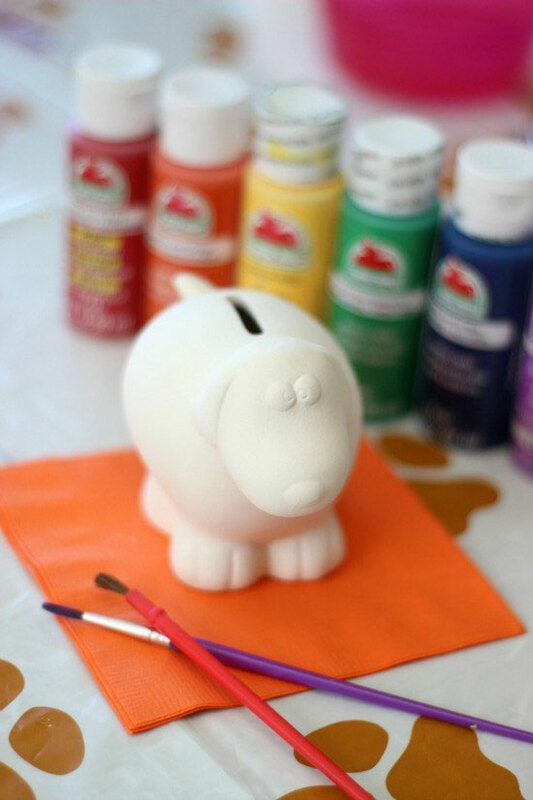 Check out how Gluesticks Blog created an entire puppy dog painting party. For this game, you’re going to need enough small boxes and pairs of socks for each of your party guests. Fill the boxes with something small and inexpensive, like Hershey’s kisses, and then wrap the boxes in two or three layers of wrapping paper. Make sure that the wrapping paper is a little loose on the outside. 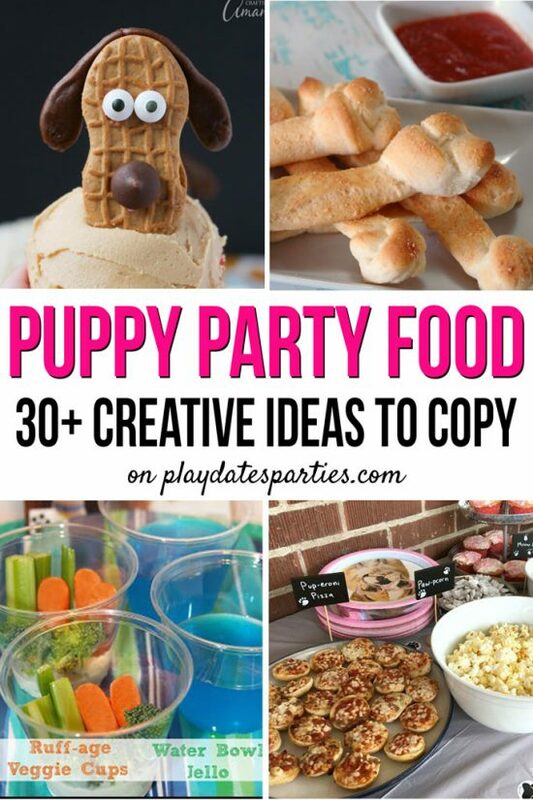 Whether your little one loves Paw Patrol, Puppy Dog Pals, or just loves dogs of all kids, there are plenty of dog themed party games you can play together. 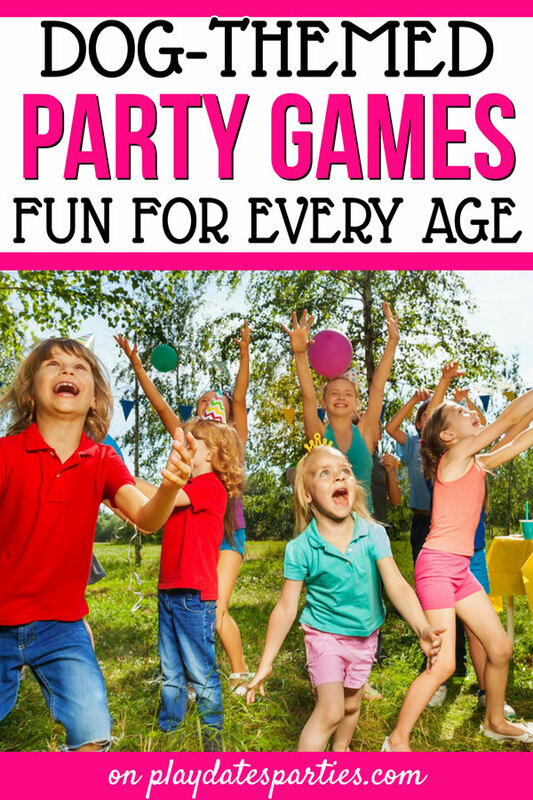 With these ideas and a simple system to plan party games, you’ll be set for your party!